An Organic Light Emitting Diode. 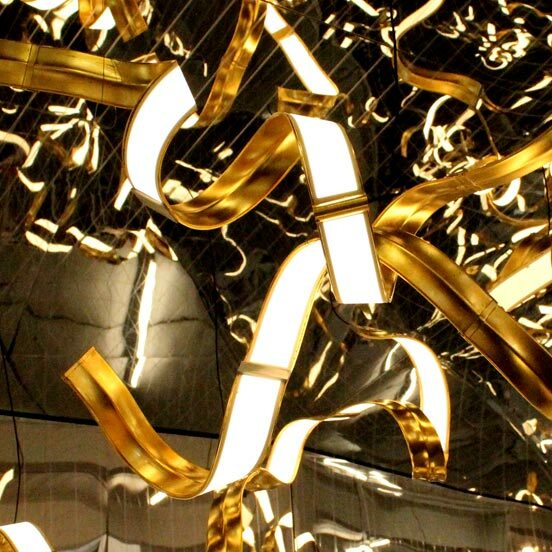 Applelec works with OLED light panels in flexible and rigid structures which present entirely new ways to seamlessly blend light into interior and lighting designs. As a surface light source, OLED light panels have a completely flat and even light output with LOW glare and REDUCED shadow. These are the first of many human-FRIENDLY characteristics provided by OLED light. The light produced by OLED panels has spectral power distributions that are close to natural daylight. As well as reducing glaring light, OLED light panels have no UV and their blue light levels are much lower than CONVENTIONAL LEDs. People feel comfortable under OLED light which makes it ideal for places where there is limited natural light. It’s time to let your imagination run away with you. OLED light panels in rigid and ground-breaking flexible options, have been designed to give freedom to creativity. 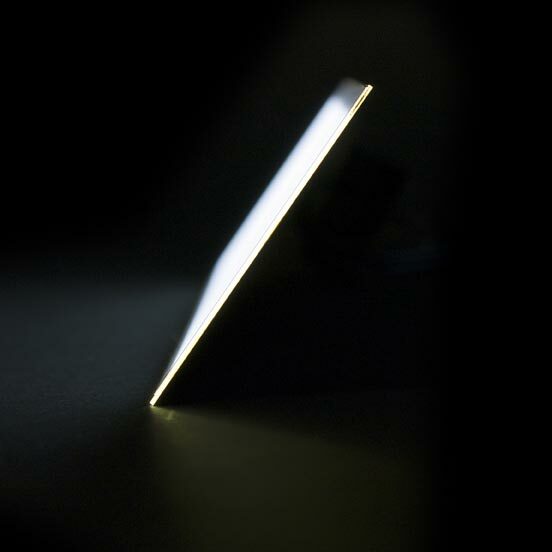 Incredibly thin and lightweight, OLED light panels bring a fresh perspective to lighting integration. 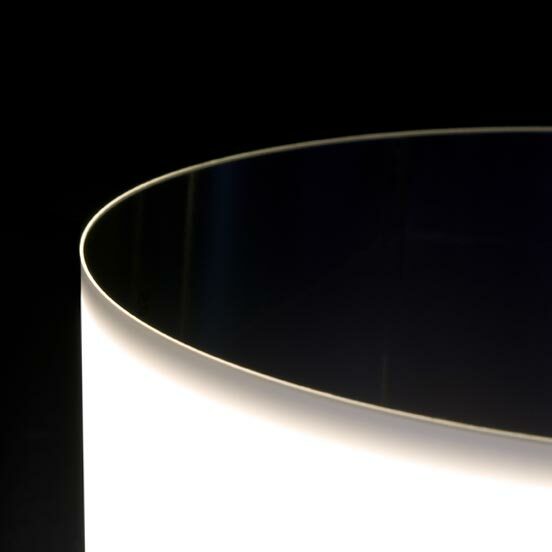 The flexible panels can be CURVED into extraordinary shapes whilst maintaining homogenous light from their surface. With a maximum light output of 300 lumens, the range includes the brightest OLED panels available commercially worldwide. 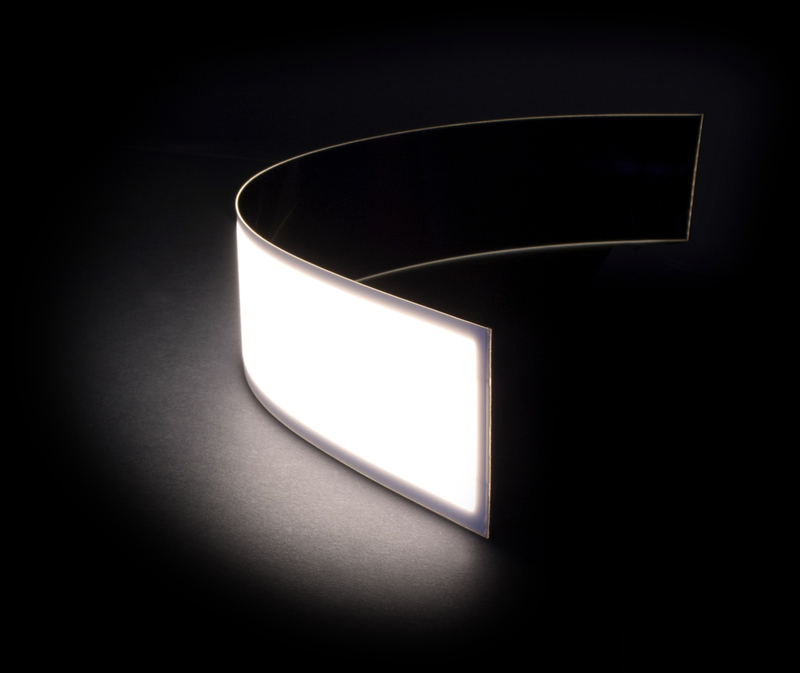 The unique high brightness of more than 8,000cd/m² is coupled with a CRI of >90 (R9 >50) for a selection of the OLED panels available at Design with OLED. Across the range, OLED panels are incredibly thin at 2.1mm for rigid structures and 0.5mm for the flexible panel options. Available in 3000K and 4000K CCT, the range features a selection of shapes and sizes including circular OLED panels. The Design with OLED range includes a selection of rigid panels that are available in two integration levels, affording increased flexibility to designers working with OLED. For further information on DIFFERENT panel integration levels, please contact us to request a copy of our Design Guide FOR detailed guidance on working with these versatile OLED panels.